Afghanistan, Angola, Cambodia, Croatia, Iraq, Vietnam and West Bank. Our work has facilitated exports worth over $250 million USD. Much of our work requires the removal of landmines and unexploded ordinance. Through our work with our partners, we have facilitated the removal of over 105,000 landmines and unexploded bombs. Afghanistan is our flagship country. Since we began work in the country in 2003, we have worked with over two dozen agricultural value chains throughout every province in the country, planting over 5 million trees, creating over 10,000 full-time jobs and facilitating exports worth over $125 million. Our impact goes beyond these numbers. Please browse below to see some highlights of how our work has been a catalyst to a much bigger impact in supporting the maximization of farmer incomes and promoting peace at the community level. 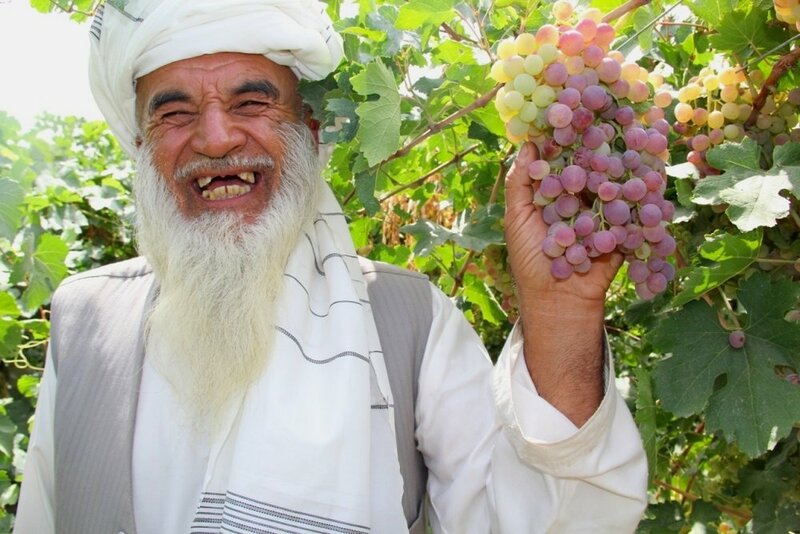 Issue: Grapes in Afghanistan have historically been grown bush style which has had adverse affects on quality and yield. Solution: To address this we introduced trellising. Farmers were slow to adapt so we led a successful pilot program which quickly turned them into believers. Wood is very expensive in Afghanistan so we designed trellis posts made with concrete and rebar and setup 3 competing businesses for production. Region by region we expanded. Impact: Now we have supported over 6,000 farmers as they converted to trellised vineyards which has increased their income by up to 400%. Issue: After 30 years of conflict supply chains bringing Afghan produce to markets were broken or non-existent leaving the farmers stuck with low demand for their low quality product that sold for low prices to mostly local markets. Solution: To address this the CHAMP program was created in 2010 first improved quality production, then focused on piloting shipments to high value markets while improving processing techniques to meet the demands of these markets, then established market connections with hypermarkets and now has led Afghan delegations to trade shows. Impact: Afghan agricultural exports have improved from $291 million when the project started in 2010 to $747 million in 2017 which represents $456 million in new exports as compared to only $76 million in growth for non-agricultural goods. ROP has directly facilitated over $120 million of that growth. 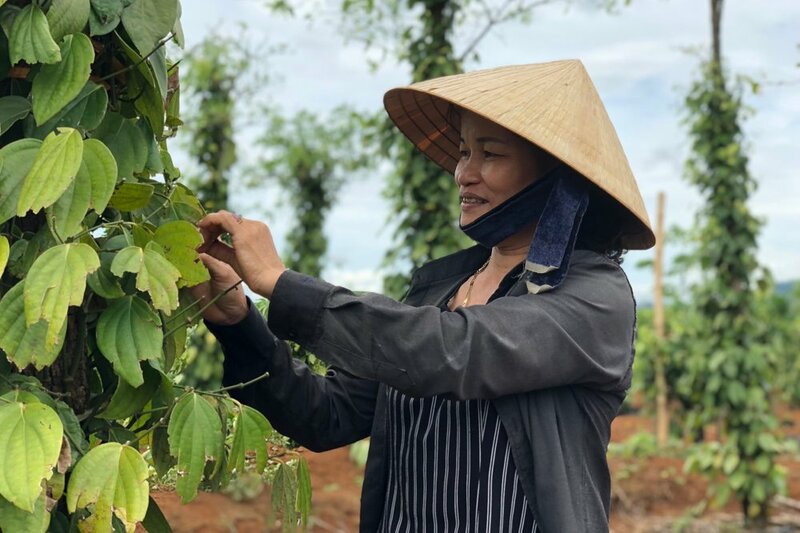 Issue: Pepper farmers of Quang Tri are subject to global fluctuations in the commodity pricing of black pepper which leads them vulnerable to cyclical dips in pricing. Solution: To combat this, our team in working in partnership with American spice companies identified opportunities to transition farmers to gourmet black pepper production which offers improved pricing. Impact: This connection to a high value market allows farmers to improve their incomes and develop long-term relationships with buyers that ensures they have a strong market for their pepper moving forward. Behind every impact number, is a human face and a personal story. Read the inspiring stories about some of the lives we have impacted. Learn more about our two-decade legacy around the world.